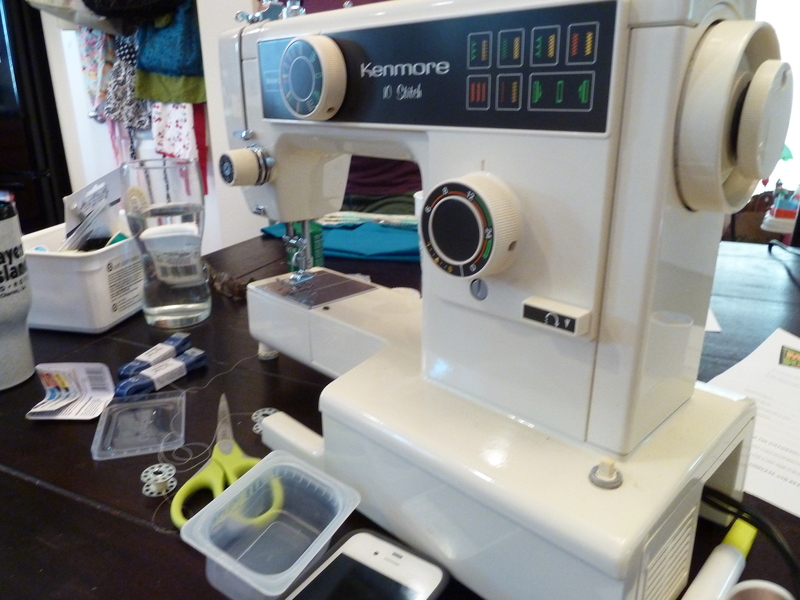 My friend Cara and her co-worker Kate recently took a sewing class at a local shop. They immediately fell in love, as I am sure most of us have, and came up with the idea of a sewing circle. I said sounds like fun and a chance to get away with girlfriends. Cara is very philanthropical and found a project online, sewing dolls for disadvantaged children around the world. This sounded easy enough to me so we met at my house and began the circle. 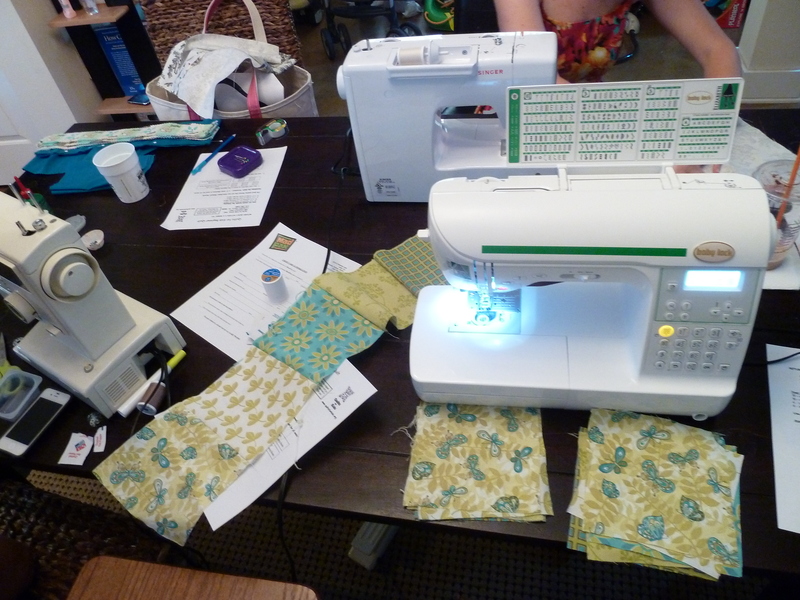 Now I am not really sure if a sewing circle needs a mission but ours was filled with gab and girl time. Worked for me. Not too much was accomplished the first evening but I believe Kate made some pillows, Cara began a few dolls and I started a couple of pattern weights. Which I have yet to fully complete! Here are the arms and legs of the dolls. If you are interested in reading about this doll project check out this blog. The second sewing circle had a quilt theme! Now none of us had ever quilted but this sounded pretty easy. Just sew a bunch of squares together, right? So we ordered pizza and the machines were humming. 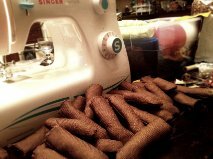 Now Cara’s machine made more of clunk clunk sound so we decided she would cut and I would sew. Here is the vintage beauty! Now the quilt idea came from Cara who found another great cause, Quilts for Kids. Check it out if you want to make a little one in the hospital smile with a quilt. They really are simple and will brighten a sick child’s day. Our finished (almost finished) product. For not really having a clue what we were doing I think it turned out well. 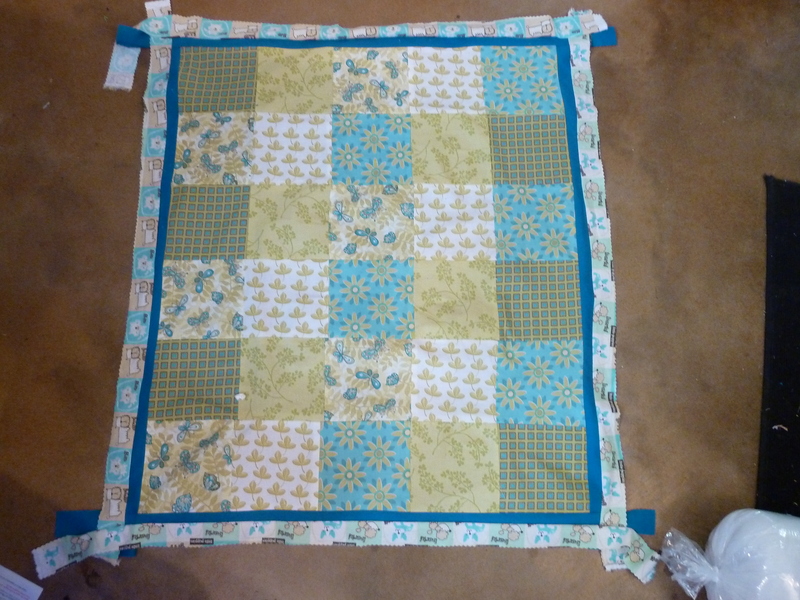 Just need to finish it off with a binding and some quilting. I hope it makes a little one smile. The third meeting of sewing circle Cara made more dolls, I made some cushions for our fireplace since the little one is on the move and Kate made more pillows. Now her pillows are AMAZING. She is meticulous with cutting and sewing. These will make great gifts for her family and friends. After the sewing circle my hubs comments, “It doesn’t really sound like much sewing is getting done!” I said happy wife equals happy life! 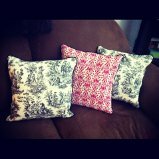 I am very proud of our sewing circle (almost) accomplishments. It seems I have several projects to finish, Cara has oodles of dolls to make and Kate will have back support for every chair in her house! Be sure to check out Cara’s blog. Lots of pretties and other musings. Posted in Uncategorized and tagged dolls, pillows, quilts, sewing circle, sewing with friends. Bookmark the permalink. Oh I really want to do something like this! I am new to sewing and want to start a sewing group. Other newbies mostly, or veterans who are willing to come and sew their own thing and give friendly advice on our things if they want. I just don’t know where to start because I don’t know anyone local in my situation, and I also sort of don’t have time at the moment! You are busy. I have been reading your blog as well! Whenever you can find a spare moment I am sure you can collect some people maybe even from a retirement community that would love your company. Looking forward to seeing your future sewing adventures!